Anyone ever had caviar? I never have. I’ve had it. It’s kinda gross. It smells like raw fish and feels like you’re eating eyeballs. I’ve had roe on sushi. It’s crunchy. Sushi is probably out of your cost range graaaahamtellusaboutyourmother. It’s not to bad on sushi, but sushi in general is like crack to me. I love sushi, but it’s not filling. So I usually go for the Bento Box (Beef Teriyaki & Sashimi). Plus Bento comes with Miso and Kim Chi. Yummy! Well now I’m hungry for Japanese in the middle of the night. God dammit. 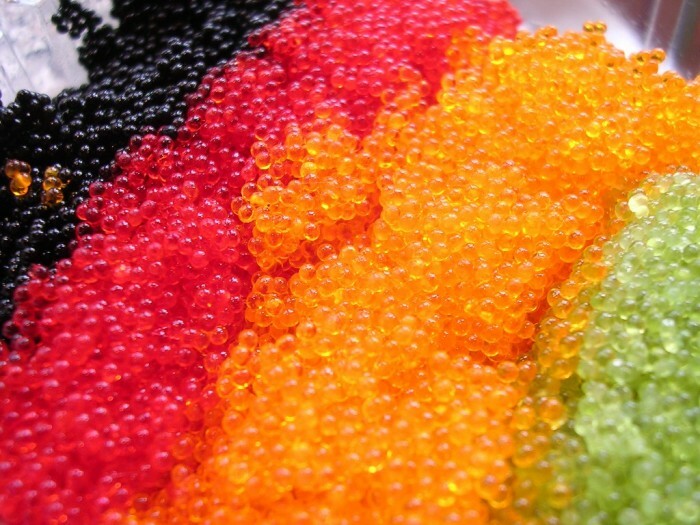 Make sure you order tobiko and add the quail egg… It is worth the experience..
Red caviar is wonderful on crepes or with softboiled eggs. AY ONLY EET BLECK KAVIAR. EPIC VIN!